The dramatic front approach of a bayfront “tropical” style residence designed by Coronado architect Dorothy Howard AIA. This is the first of a series of articles about the architects whose work has and will continue to influence the appearance of Coronado’s residential neighborhoods. Each of the architects was asked to provide information about their clients and the homes that they have designed and their opinion of the appearance of Coronado’s business district and the design of its public buildings. They were also asked to provide their views on the density of development in the city and to prognosticate about what Coronado will be like in 10 years. Dorothy Howard and her work are the subject of the first article. 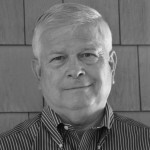 Howard has been a licensed architect for almost 30 years. She graduated from Stanislaus State College in Northern California with a BA in business. While she was in school she worked as an architectural draftsman and after several years as an apprentice she took and passed, on her first attempt, all sections of the architectural registration examination. She began designing houses in Coronado in 1987 while working for Bayless Cobb & Associates. She started her own firm in 1998 and has designed approximately 100 projects, ranging from small additions to large custom homes, the majority of which are in Coronado. During the time that you have been practicing in Coronado what are the biggest changes, if any, that you have observed in your clients? During the time that you have been practicing in Coronado how do you think changes in lifestyle have influenced the design of Coronado houses? What are some of the unique challenges that an architect faces when designing a residence in Coronado? How do you respond to these challenges? Editorial note: The Floor Area Ration (FAR) is defined as the total square feet of a building divided by the total square feet of the lot on which the building is located. The FAR applicable to the different types of buildings constructed in Coronado are stated in the municipal code. Right: This craftsman style house sporting a broad front porch and elephantine porch columns is another example of Howard’s work. Do you think that the quality of the residential architecture in Coronado is improving, is remaining essentially unchanged, or is deteriorating? What is the basis for your opinion? What could be done to improve the quality of the residential architecture in Coronado, if anything? “I think the overall quality of the residential architecture is pretty much the same. There are plenty of recent examples of thoughtful design, and plenty more of basically very similar cookie-cutter” designs. But that’s not a recent phenomenon- Palmers are the quintessential variation on a theme’. The original Country Club Estates houses also fall in that category. The biggest difference is the houses are bigger and almost exclusively two story. How would you describe the commercial architecture in Coronado and the overall appearance of the city’s business district? What could be done by the city to improve the appearance of the city’s business district? Editorial note: The Orange Avenue Corridor Specific Plan is part of the city’s municipal code. It provides a policy and regulatory bridge between the city’s General Plan and individual, project-level development. It contains the regulatory development standards and design criteria intended to maintain Coronado’s village character. How would you describe the quality and appropriateness of the public architecture in Coronado including the police station, library, schools, Community Center and City Hall? Above: Howard demonstrated her design sensitivity in this entry to a craftsman style home that features trim details, light fixtures and colors typical of the era. Increased density is often cited as a problem in Coronado along with the loss of the city’s “village atmosphere.” What do you think is the greatest contributor to this sense of increased density? What could be done to counter it? “The greatest contributor to the perception of increased density is- increased density. There are now more dwelling units per acre than there were in Coronado’s original development pattern. It’s just a fact. “Along with every other city and town in the State of California, Coronado is required by state law to have some land zoned for multi-family development. There are many parcels in town that are zoned for multi-family development but are currently developed with single family homes. As those homes turn over, a parcel that once had a single home becomes a parcel that has four homes on it. There is little or nothing the City can do to change that. In ten years what do you think Coronado will be like and why? Additional Examples of Howard’s work can be found at https://www.dropbox.com/sh/bxnd17rk88thqky/AACzm0FaOzyux4Dmlec6jgGXa?dl=0. The next article will provide the views of architect Christian Rice and examples of his work.